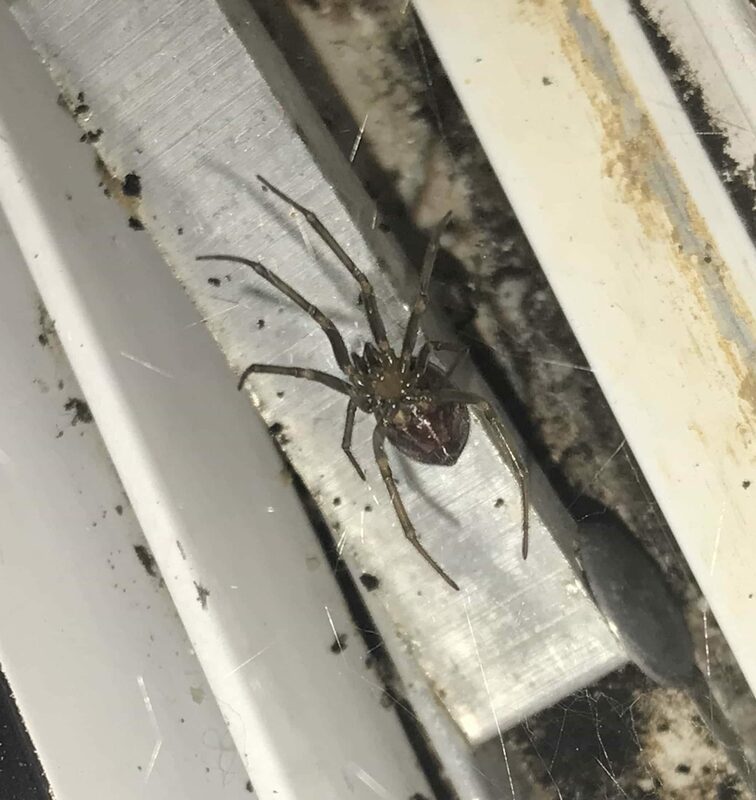 False widow? Common house spider? Hi. This is a harmless cobweb spider, could be common house spider,triangulate spider, or false widow spider. The ones you find in attics and seldom used closets. Nothing to worry about, if she is out of the way, you can just leave her undisturbed. Thank you! I am happy to hear it is harmless. She is hanging in my bathroom window sill, but mostly out of the way so I will leave her be. Just hoping there aren’t eggs!